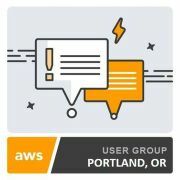 Zapproved is delighted to host the upcoming AWS Meetup and User Group on Thursday, October 27, 2016 from 6:00 PM to 8:00 PM. This meetup will be lead by expert speakers from AWS and Advanced Consulting Partner, 1Strategy. The meetup will feature the build-out of an Amazon Machine Learning model using a real world example. Want to go? Sign up for the Amazon Machine Learning meetup!